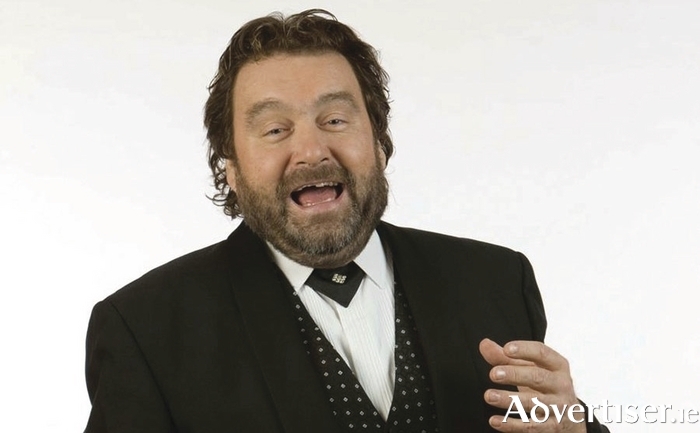 BRENDAN GRACE, Ireland's much loved and legendary comedian, will bring his It's A Funny Old World show to The Forge Pub, Moycullen, this Saturday at 8pm. Over the years, Brendan has created many memorable characters, such as the sanctimonious priest who knows more than he's telling: "Blessed is he who gets married in the nick of time"; the father of the bride speaking at his daughter's wedding: "She could have married someone with money. She could have married someone who was working. She could have married someone who wasn't working...but was willing to work.'' And of course there is Bottler. Brendan's material owes more to traditional stand-up-comics than modern alternative humour and his show is family orientated. There will also be a meet and greet after the show. The Forge has revamped its entertainment venue and will be running regular acts throughout the year. Tickets are €25 from The Forge (091 - 868944 ).